The scale of the opportunity presenting itself in Haiti today is not lost on Dr. Michelle Chang. As a medical epidemiologist at the U.S. Centers for Disease Control and Prevention (CDC), she knows that it is a once-in-a-lifetime opportunity. The disease she refers to is malaria, a global killer that worldwide claimed an estimated 584,000 lives in 2013. Eliminated throughout most of the Caribbean over the past several decades, malaria remains endemic only to the island of Hispaniola, shared by Haiti and the Dominican Republic. In 2014, 17,000 cases of malaria were confirmed in Haiti, by far the worst affected of the two countries, claiming lives, slowing the economy, and burdening the nation’s already fragile public health system. To aid in the fight against malaria, an alliance of public health partners focused on eliminating the disease through evidence-based approaches has been assembled to help. Using a $29.9 million grant from the Bill & Melinda Gates Foundation, CDC and the CDC Foundation launched Malaria Zero with seven other partner organizations in 2015 and are urgently working to eliminate malaria from Hispaniola by the year 2020. Dr. Chang, representing CDC, is leading the alliance of partners which includes academic universities and nongovernment organizations working in close collaboration with the Ministries of Health from Haiti and the Dominican Republic. Though the poorest country in the Western Hemisphere, Haiti is in many ways well positioned to tackle the challenge of malaria elimination. In the wake of a devastating 2010 earthquake that killed more than 220,000 Haitians, international aid poured into the country, spawning much-needed development in Haiti’s public health sector. With CDC support, staff at Haiti’s National Public Health Laboratory (LNSP) were trained and equipped to handle the country’s myriad health challenges—support that has paid off, says Dr. Jacques Boncy, director of the LNSP. “Our capacity to detect (malaria) cases has improved, and our capacity to confirm cases has also improved,” Dr. Boncy said. “Our technicians were not fully trained before the earthquake in diagnosing malaria. But since then we have done many training sessions to improve microscopy.” This capacity along with training in the use of rapid diagnostic tests for malaria means that skill and speed can be combined to quickly identify and respond to confirmed cases. With the support of CDC, the lab has also added an insectary, providing the opportunity for technicians to test insecticides that can be used to control Haiti’s parasite-carrying mosquitoes. The type of mosquito found in Haiti that carries and transmits the malaria parasite is not particularly efficient. This, coupled with the fact that they have not yet developed any resistance to commonly used insecticides, makes them a weak link in the malaria chain, says Dr. Chang. 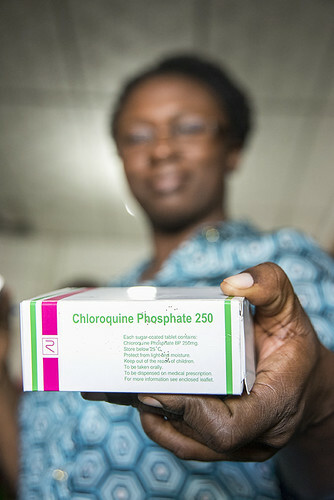 Perhaps most importantly, and unlike other malaria-endemic parts of the world, no resistance to common chloroquine-based treatments has yet emerged on Hispaniola, allowing for more treatment options for malaria which are less expensive. As long as no resistance emerges to either the insecticide used to control mosquitoes or to the drugs used currently to treat infected patients, Dr. Boncy says, elimination is a readily attainable goal. Across the island of Hispaniola, and particularly in Haiti, public health professionals are confident that a malaria-free zone across the Caribbean is possible. As Haiti continues to bolster its diagnostic, surveillance and treatment capacities, malaria could soon be seeing its last days as a burden to Haiti’s health care system and a threat to the lives of Hispaniola’s citizens. Dr. Lemoine, as director of the country’s malaria control efforts, knows better than most what it will take to see Haiti free of malaria. From his office in Port-au-Prince, Dr. Lemoine thinks for only a second on what he would say to the donors needed to help Malaria Zero succeed. David Snyder has been working as a writer and photographer for 15 years. He has lived in Kenya and South Africa, and has traveled to more than 60 countries to cover emergency relief and development work for a wide range of nonprofit organizations.